I haven’t been away for more than a couple of months and already I miss the California coast. Biking on the beach, drinking brews, and hanging out to feel the last of the spring sun at Half Moon Bay. 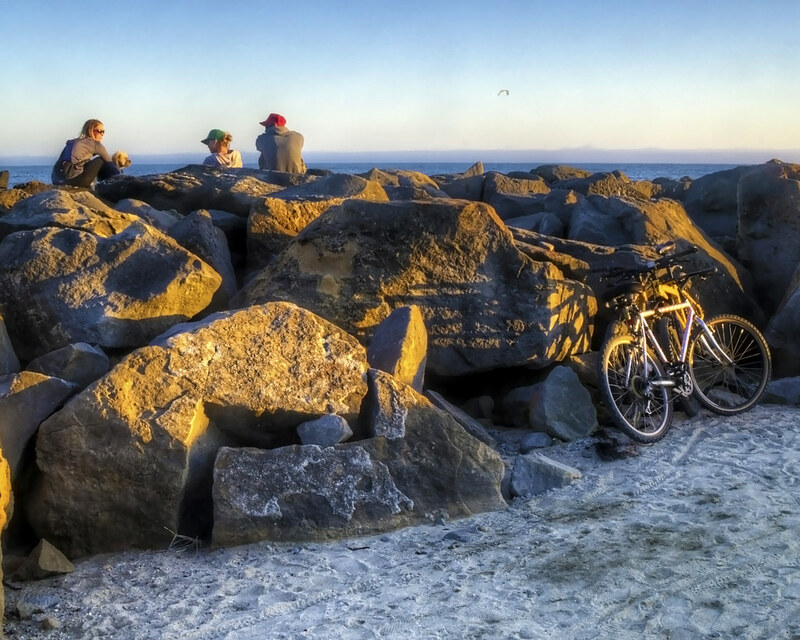 Just down the seawall, “LOCALS ONLY” was painted in heavy, runny pink krylon on one of these same rocks. Who was at this beach? No one seemed a local, to me. But even more, this slogan made me think on the nature of America in general, and California in particular. This state filled up with the folks who went west until there was no where else to go. Even now, they keep coming. 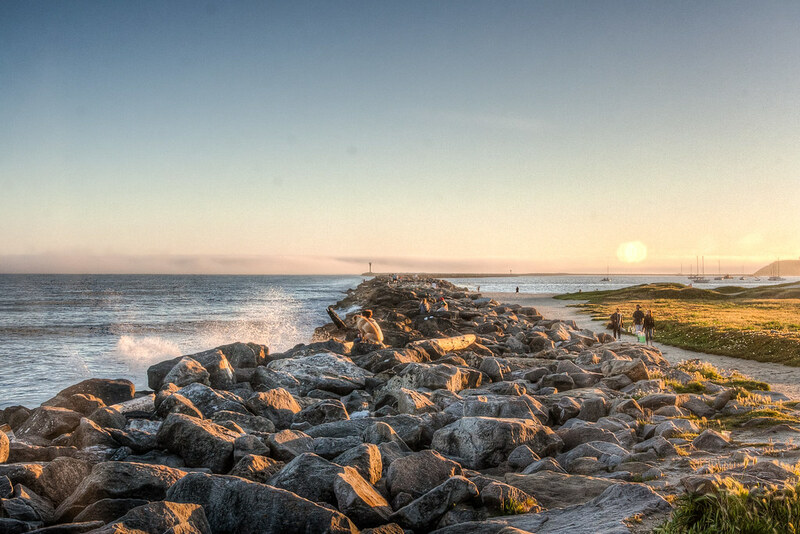 Even these enormous rocks that make up the wall are not “locals,” but transplants, brought in to tame the sea. 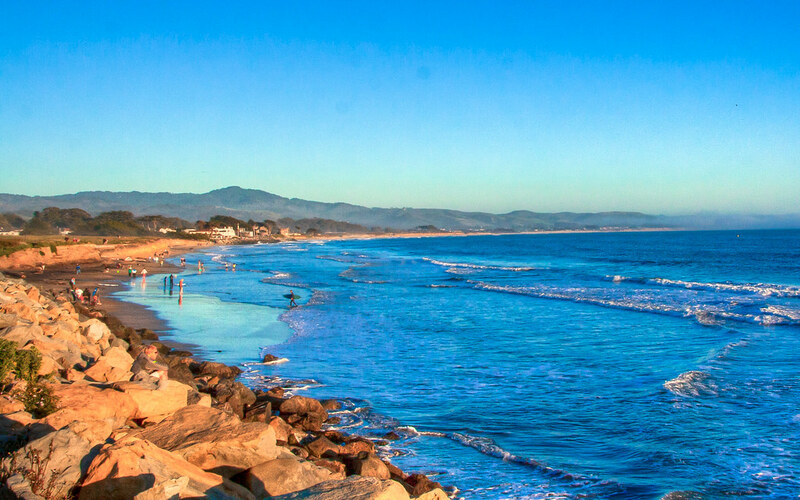 I know I’ve said it before but probably my favorite thing about California is the coast, and probably the folks out on the beach on this particular day would agree with me. I don’t know that I’d have the fortitude to surf the chilly waters of the northern California coast but the surf does look sort of inviting in the late afternoon. Brendan has previously posted a several of gorgeous shots of Half Moon Bay and its associated Pillar Point air force base. This particular shot shows a different kind of Cold War-era neurotic nostalgia that I find really enticing. 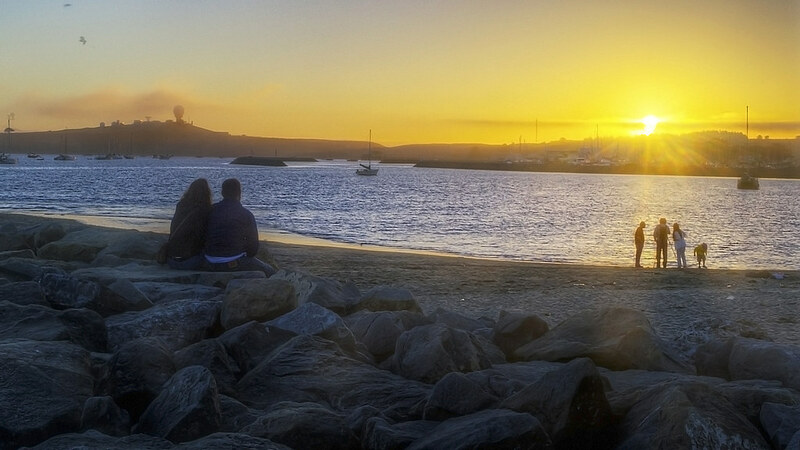 On one hand, this young couple is gazing off at the family silhouetted in the sunset–a vision of their future. On the other hand, the radar dome of the Pillar Point AFS is a sinister reminder of Cold War-era threats from across the ocean. Taken together, I’d like to think it’s emblematic of the Californian experience for a lot of folks: promise and peril. 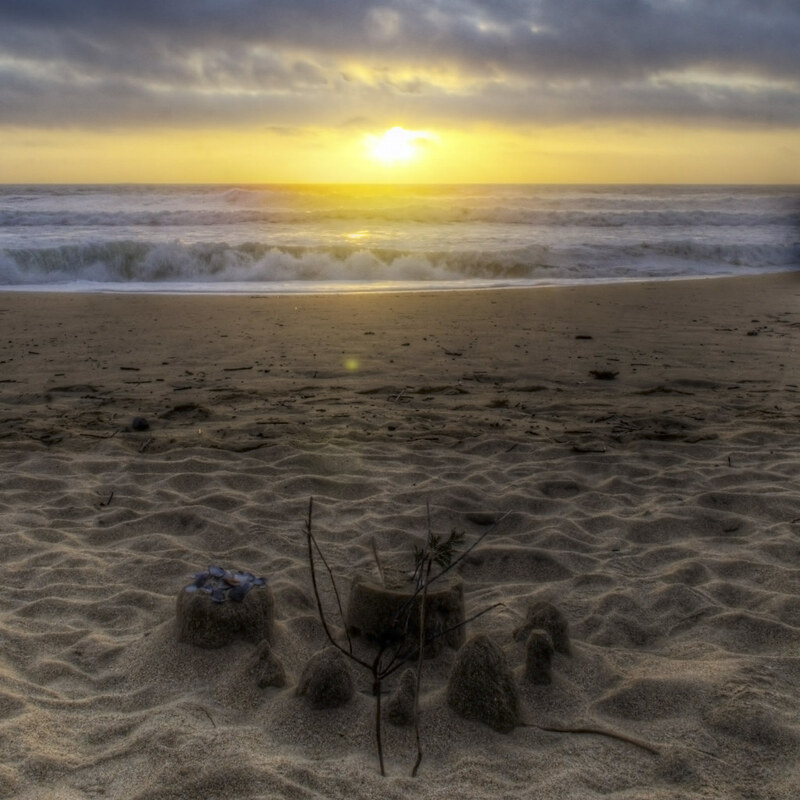 Watching the sun go down on an empty beach can make me feel like the only person on the planet, but little signs of life will always remain–be it foot prints or, in this case, a sand castle. In comparison with my previous sand castle post, this particularly little fortress is so much calmer, smaller, and more considered. 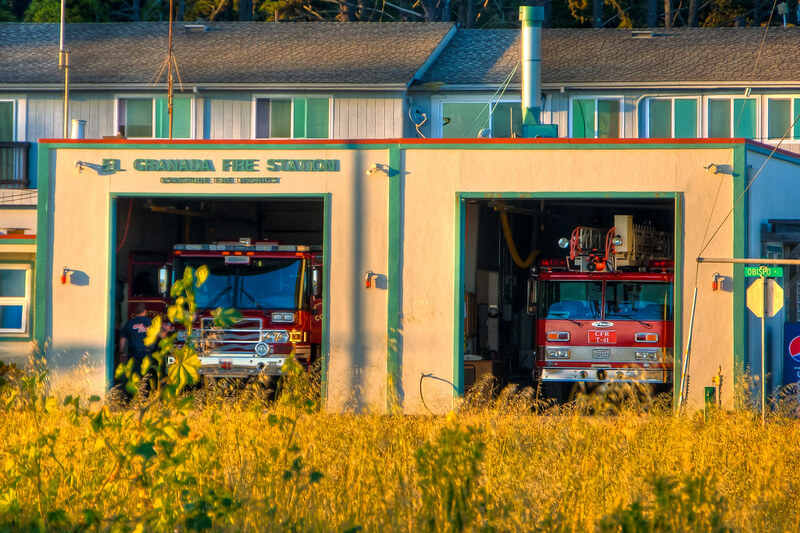 This fire station is right across the street from the beach down in Half Moon Bay. It really adds to the small town vibe, and makes you forget for a second that this place is a destination.